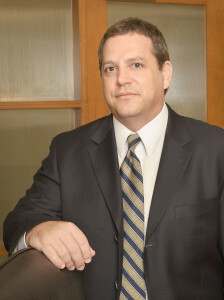 Miami Personal Injury Attorney Jeffrey S. Altman was born in Miami Beach, Florida and raised in North Miami, Florida. He is licensed to practice law in all State Courts in Florida and Federal Court in The United States District Court for the Southern District of Florida. He has been practicing personal injury law since 1998 handling cases involving catastrophic injury victims, traumatic brain injury victims and wrongful death cases throughout the State of Florida. Jeffrey S. Altman began his legal career working for L. Barry Keyfetz, P.A. – consistently voted one of the best attorneys in South Florida for over 40 years. In 2002, Jeffrey S. Altman founded The Altman Law Firm and has been representing catastrophic injury victims, traumatic brain injury victims and families of wrongful death victims since. In 2005 The Altman Law Firm was relocated from downtown Miami to our current home in the North Miami and Miami Shores area on Biscayne Boulevard and 108th Street. Jeffrey S. Altman knows that a successful personal injury attorney must have good communication with his client in order to have good results. Accordingly, our clients receive Mr. Altman’s personal contact information. Jeffrey S. Altman is a Miami Personal Injury Attorney and has been lead counsel in dozens of trials and is a proud Member of the Million Dollar Advocates Forum that is one of the most prestigious groups of trial lawyers in the United States. Membership is limited to attorneys who have won million and multi-million dollar verdicts and settlements. Fewer than 1% of U.S. lawyers are members. The hiring of an attorney is an important decision that should not be based solely upon advertisements. Before you decide, ask us to send you free written information. Additionally, please review the rest of this website. If you need a Florida attorney in Miami, North Miami, Miami Shores, South Beach or North Miami Beach for a catastrophic personal injury, traumatic brain injury or wrongful death case involving car accidents, slip or trip and fall down incidents, negligent security, medical malpractice, nursing home neglect and abuse, taxi cab related accidents, boating related accidents, bicycle accidents, motorcycle accidents, alcohol related accidents and accidents suffered at work, please contact us by telephone at 305.373.3730 or by email to jaltman@altmanlawfirm.com. Mr. Altman will promptly respond. We also maintain a Broward County office by appointment only. For a free case evaluation, complete the form below. 30 Jun 2015The Altman Law Firm has 2 of the Top Florida Verdicts in 2014!